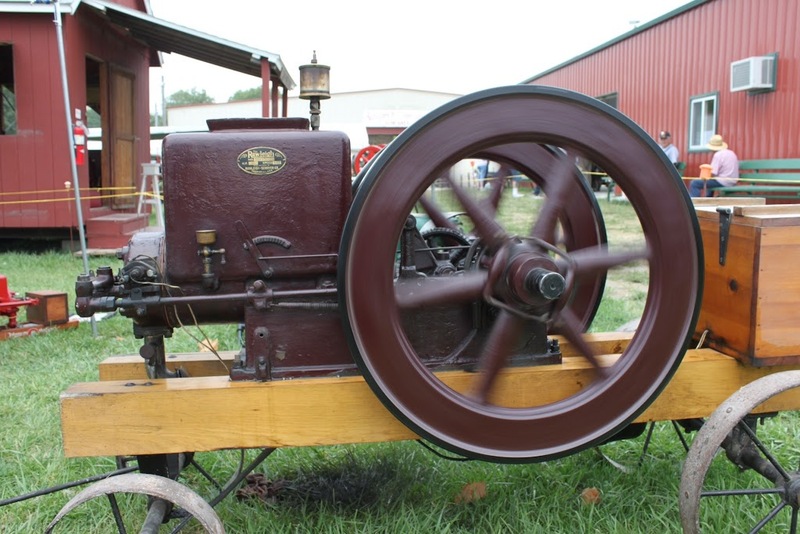 A newly aquired Rawleigh Schryer 1 1/2hp with original pinstriping. Also has a Duplex tag. The engine was covered with grease and is so tight that it seems to have been run very little. Thanks for the pics Loren, (my Thanks button's gone again, but I'll get you ASAP). If you haven't already, please let Michael know about your new toy as well so he can get it added to his listing. Here's another Rawleigh Schryer that showed up at this years show (2010) that hasn't been shown on here before. I didn't get the owners name, but Joe Maurer, Troy Rudy, and a couple others helped him get it re-timed and running. If the owner doesn't contact Michael to get it on the registry, maybe he can get his name from Joe or someone else ??? 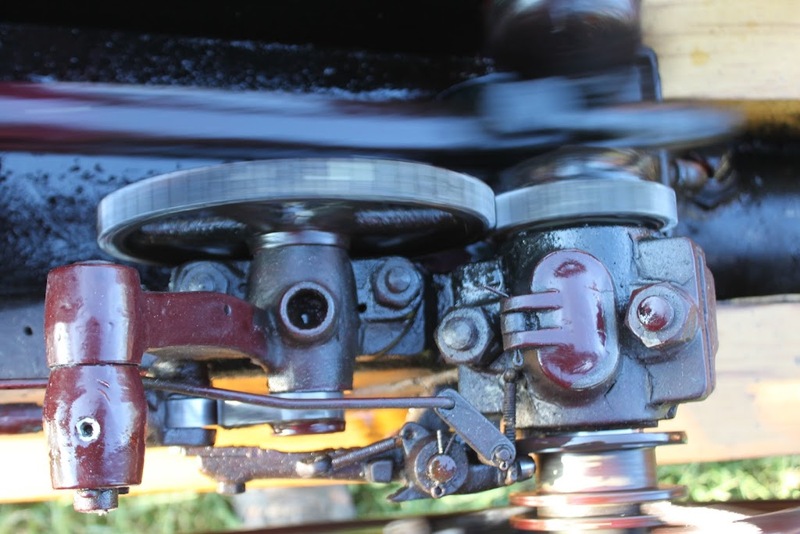 And the "Open Invitation" still holds for anyone with any other pictures of Rawleigh, Rawleigh Schryer, and Ziegler Schryer engines to please post them here as well and to contact Michael with the serial numbers. My "Thanks Button" is all used up again, but I WILL Thank each and every one of you that adds pictures. 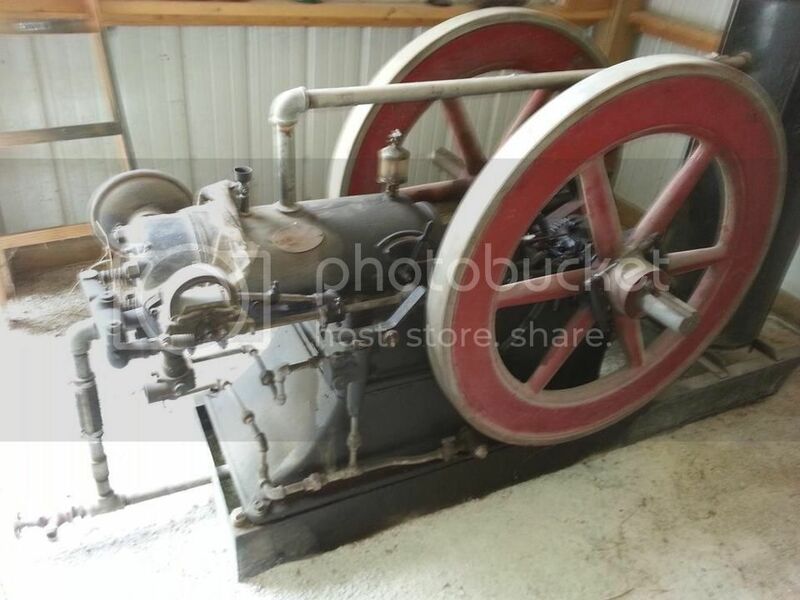 ...Here's a Rawleigh engine that's on one of Auman's auctions coming up October 2nd. Nice looking engine, but I have no idea what the serial number or size is. It would have come back home to Freeport IL if a friend of mine had gone as planned. He would have grabbed it on ProxiBid, but he doesn't have a credit card to register with. Hopefully the new owner contacts Michael and gets it properly recorded in the registry.... if not, at least we now have the serial number from the auction listing. 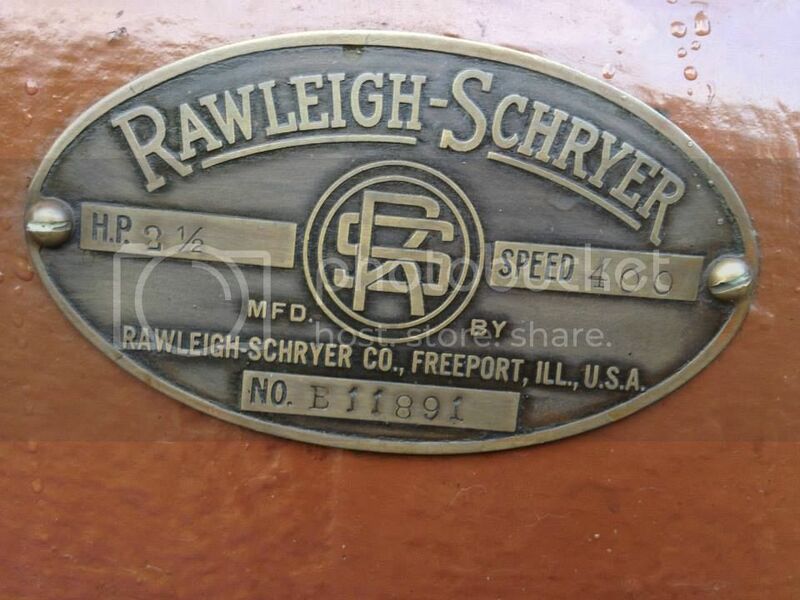 I didn't download the pictures while the auction was still active and can't access them anymore now due to eBay making more format changes recently, but a 1 1/2 hp Rawleigh Schryer number Z5585 sold on eBay a short time ago for $775.00 missing the pushrod & maybe a few other small parts. Auction listing Title had it mis-spelled as Raleigh-Schryer . The RS Z on Ebay was missing the pushrod, igniter trip, exhaust lever, carb, intake valve locking lever, muffler, oiler, and plumbing. Appeared to be in good shape otherwise. Figured I'd revive this thread again since I linked it to another Rawleigh thread. Still looking for More Pictures, whether they were at the 2009 show or not. Someone mentioned in an earlier post about this thread having the most complete group of Rawleigh pictures they have ever seen, so we may as well keep building on that. 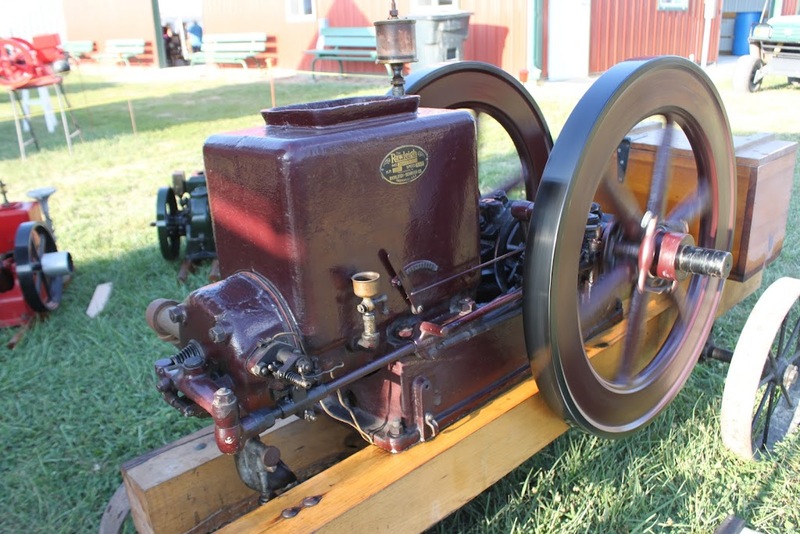 Plus I wanted to get to the word out that we will be featuring Rawleigh engines again at the 2014 show. Hoping for as big or even bigger turnout of Rawleigh, Rawleigh Schryer, and Ziegler Schryer engines, equipment, literature, etc. Now THAT's a pretty neat picture. Who needs a playpen when they have an engine hopper available. This was it back in the 1970's with Mr. Farmer from Platte city mo, he gave our family the rawleigh. If you can get him to post a picture, I think Ironman has one that's supposed to be in most of it's original paint. I looked back through the pictures I posted for Michael but didn't see it there. Here is a recient Rawleigh Schryer find (5-10-2014) in NJ to add to the list. 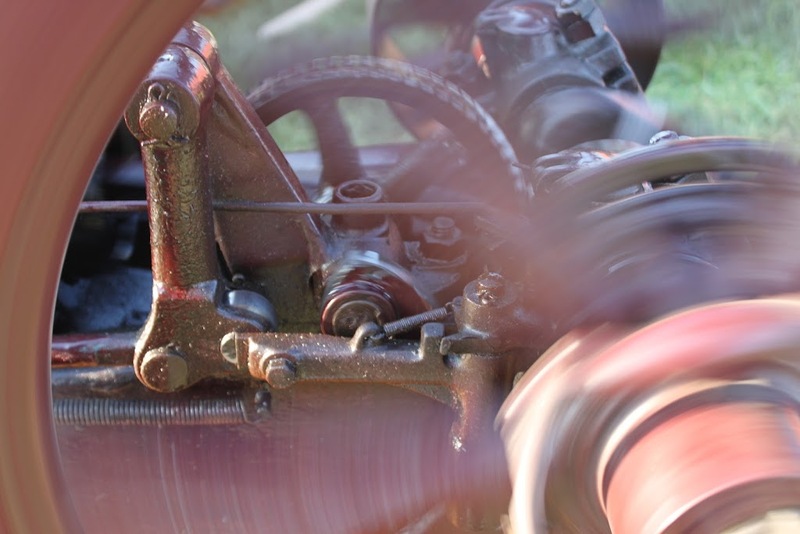 It’s badged as a Pittsburgh Pump & Engine Co. 1 1/2HP – 600rpm. The end of the crankshaft is rough and I haven’t found the serial # of this AA model. 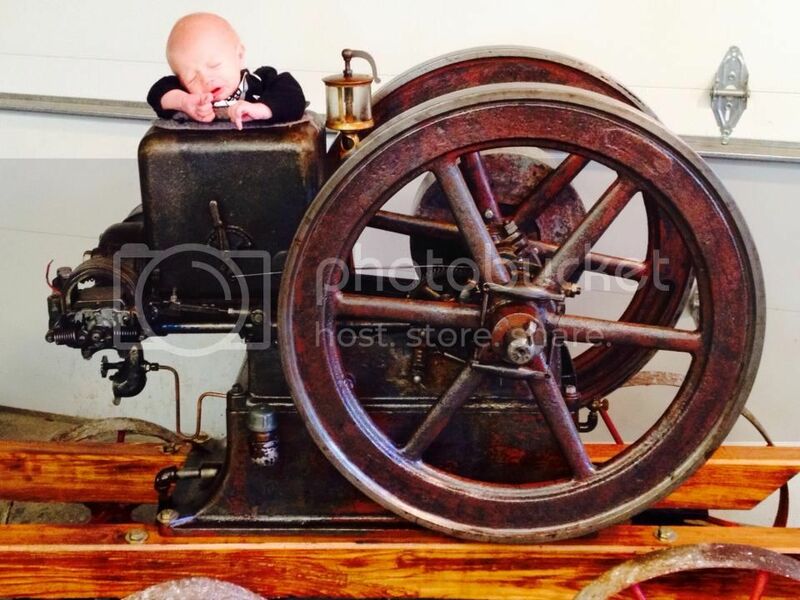 It’s missing the push rod, Webster trip push finger, ½ pipe mixer and a few other “little” items . Anybody have these parts, or could share some close ups of them with me . After cleaning it up, the Webster K-7 magneto on the 303k7 bracket is “HOT . Here is the link to my find with more pictures. Looking at your other thread, I don't think you did too bad on the price for what you got. Good luck finding and/or making the needed parts for it. They're out there, they just don't show up that often due to the very short period of time they were built. Thought I'd share a couple 'other' Rawleigh pictures with you all. First one is of the Rawleigh Home in Freeport IL which still stands and looks as glorious as ever. And the second one is a shot of the Rawleigh Schryer Manufacturing Co. in Freeport IL which no longer exists. 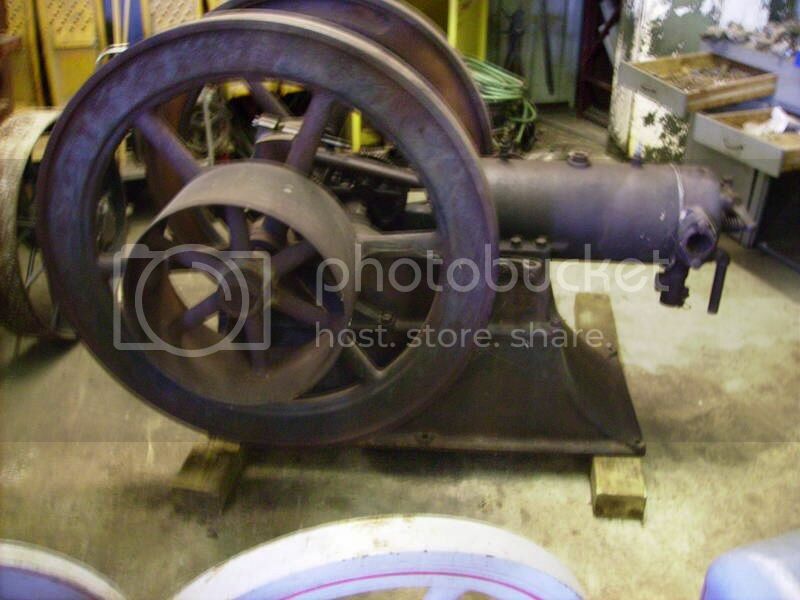 Anybody find and "NEW"Rawleigh engines lately? All times are GMT -4. The time now is 01:10:28 PM.